Treetop Design & Print is the first company in the UK to take delivery of a Versafire EP digital press. 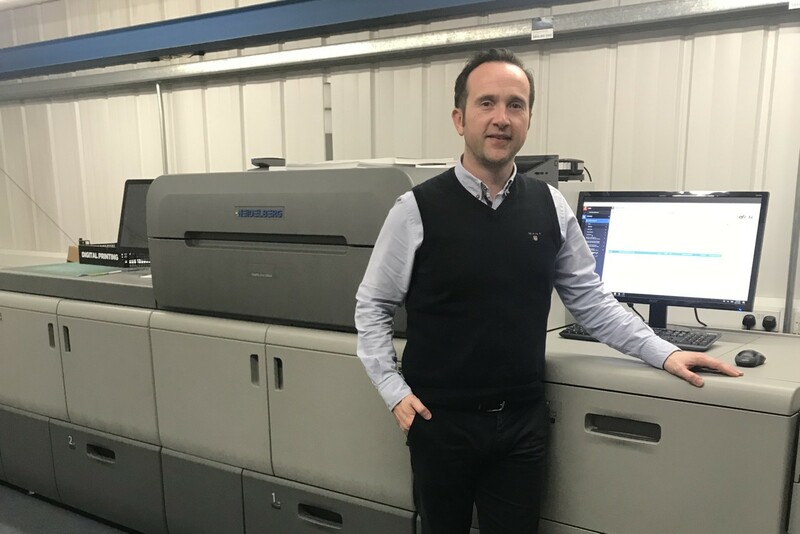 This Heidelberg model has been selected to expand the company’s digital services and Crawley based Treetop anticipates an 80-20% turnover split between litho and digital respectively by the end of next year. This is a family business set up by Graham Lovegrove 34 years ago but now run by his son Will. 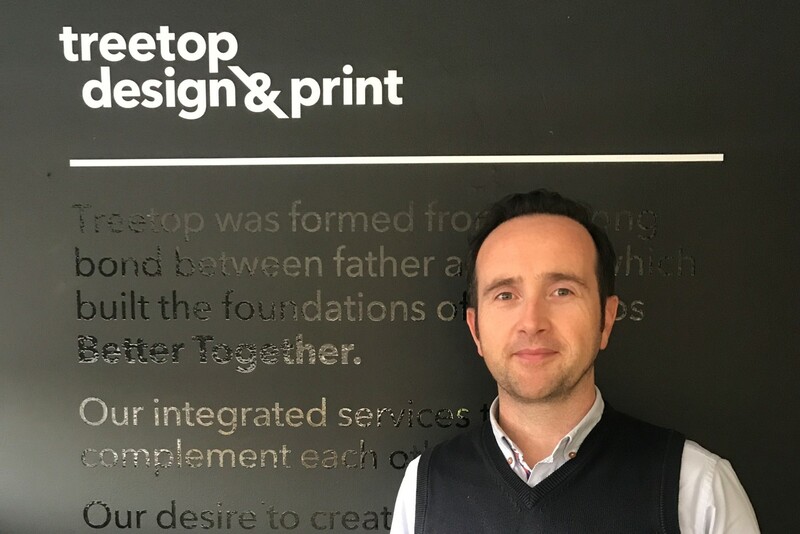 It was originally a design house but Treetop quickly moved in to print to ensure it could control the quality and service expected by its customers, both direct and agency businesses. Its bright meeting room features Pantone graphic chairs and coasters which sets the tone. 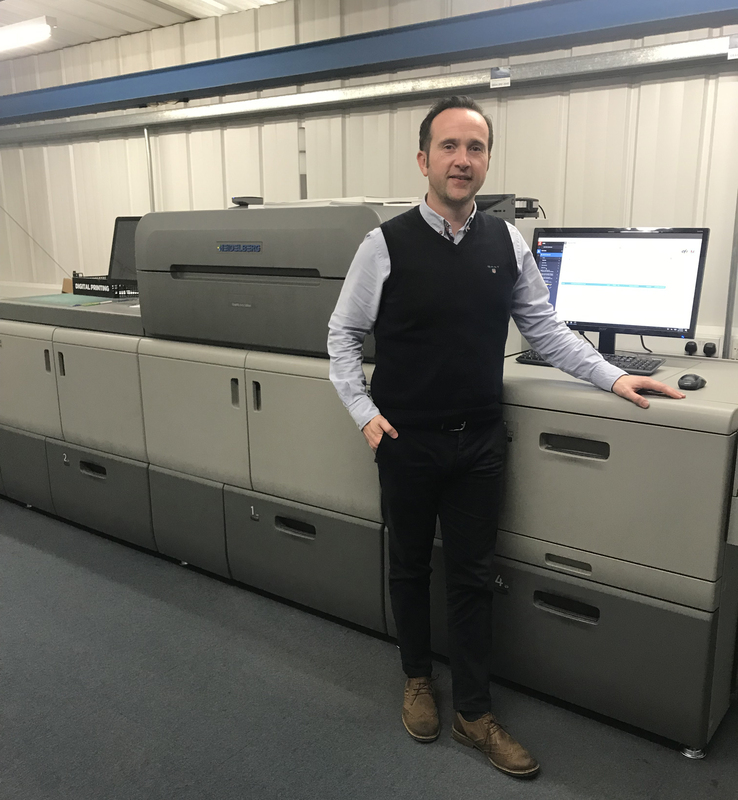 Treetop started in digital with a Linoprint C751, an entry level machine, and this has been traded in for this latest generation press launched by Heidelberg this year. The Versafire EP has continuous automatic calibration for brilliant results, a top quality capability of 4800 x 2400dpi and incorporates features from Heidelberg’s litho technology, including sidelays and colour control. Treetop is no stranger to innovation. It was an early adopter of the latest generation Speedmaster SM 74 press. Indeed it was a Heidelberg house from the start (GTO, MO and Speedmaster SM52s before expanding to the B2 capability it has now). Today it is front to back Heidelberg with CtP, cutting, folding and stitching kit as well as litho and digital presses. 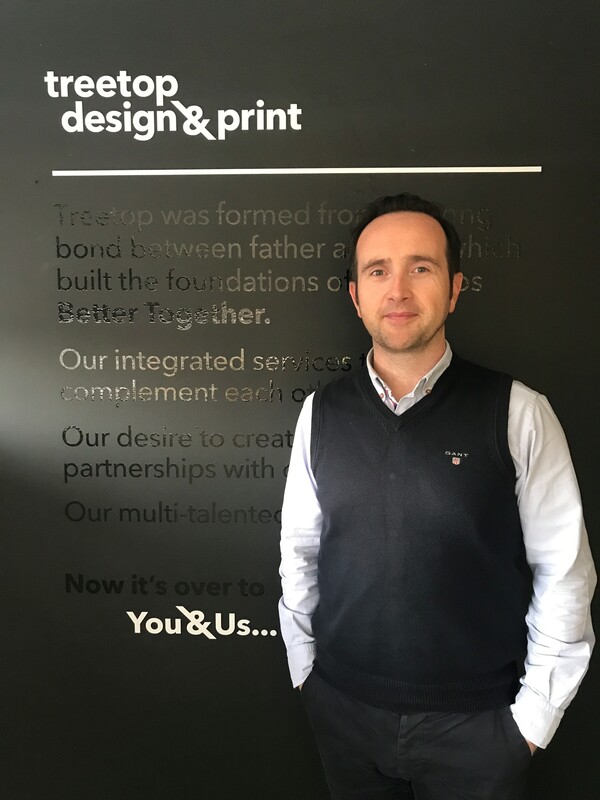 “We did look at other options and print tested the three that were short-listed but Heidelberg gives us reassurance because with both litho and digital presses we need really good service and support and Heidelberg has treated us very well over the years,” says Will Lovegrove. The location of the business near all the major road, rail and air hubs means easy access not only to London and the south coast but all parts of the UK and the business has grown and has ambitious plans to expand further. Indeed Treetop has just acquired an additional 2,000 sq ft unit adjacent to its current premises, giving it a total of 6,000 sq ft. This signals plans for further digital expansion next year, including a move into the wide format arena and the addition of some dedicated finishing. Treetop is a BPIF member and holds FSC certification and the ISO 9001 quality standard. The company has access to a good pool of skilled staff in the Gatwick area but it is also minded to bring in new, younger staff in addition to future-proof the business. Heidelberg has sold a number of Versafire EVs in the first weeks since its launch and anticipates great success with both the EV and EP versions in the year ahead. Will Lovegrove, Treetop Design & Print, on 01293-863131.